I want to say more than 80% of HandHeld Gimbals on the market right now run off of the Alexmos SBGC Controllers. 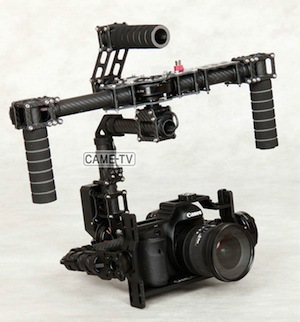 This includes the CAMETV 7500/7800/8000, Tiyaga, and Varavon Birdycam2 stabilizers. If you don’t already have it, adding a Bluetooth Module to your SBGC Controller is super convenient when you want to change PID, RC, or Follow Mode settings. The Android software can also remotely control Pan, Tilt, and Roll if you want to work with Dual Operators or if you have your gimbal mounted to the end of a long Crane / Jib. Of course the software is limited and at times you may want to upgrade or downgrade firmware, Export your Profiles, or Load other Profiles that are saved on your computer. To do this you’ll need the full desktop version of the software. Instead of lugging a laptop around, this 7″ Winbook for around $80 dollars (found here) runs the full Windows Operating system so that you can install Java and the SBGC software. 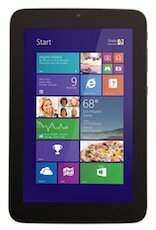 The tablet is small, lightweight, and slim and can be extremely handy out in the field. For the price, it’s something that can easily fit into my gimbal case that I won’t be without. Touching back on the Bluetooth Module that some of you may want to add-on to your gimbal systems. It’s very easy to install as there are only 4 connections that go to the side of the SBGC controller. Once it’s installed you simply pair your smart device and launch the software. There is of course TWO THINGS YOU NEED TO KNOW about adding a bluetooth module. First thing, to be compatible the BT Module should be set to the Baud Rate: 115200. Now if you have a BT Module, you can change it by connecting it through a serial interface adapter to your windows computer and reconfiguring it. I won’t go into details because you’ll just end up spending more money on an adapter and wasting time. You’re better off buying one that is already configured properly. Here’s one i’m using and it works flawlessly for just $13 dollars (found here). 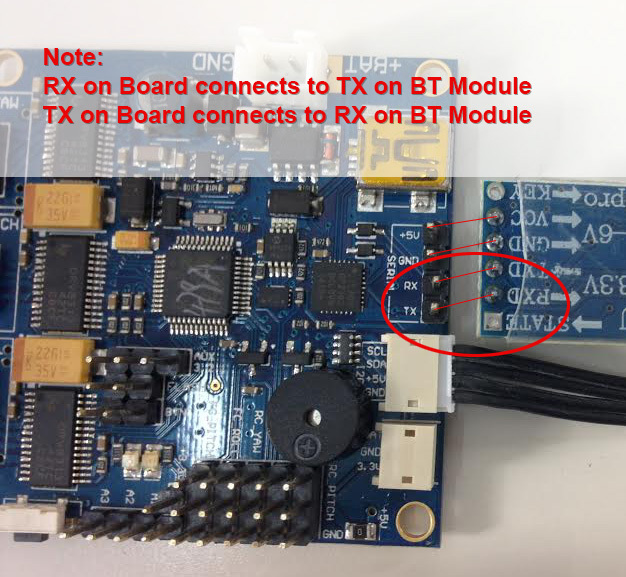 The Second thing that may be just slightly confusing (if you don’t read the manual) is the the RX input on the board connects to the TX of the BT Module, and the TX on board connects to RX on BT Module. Some BT Modules don’t have the pins in the same place, so you end up having to cross your wires. If you don’t connect this properly you’ll get a ‘serial corrupted’ error message. Other than that, pretty straight forward and should only take a few minutes to throw on. The video below is a short demo video of my DIY Mini Gimbal with the Panasonic GH4 camera built from the DIY Tiyaga Mini Gimbal Kit. If you’re interested in building your own, the article below shows some of my step-by-step procedures for building out the Tiyaga Mini Gimbal Frame. This DIY 3 Axis stabilizer comes with a kit (less motors, controller, and few accessories). The Tiyaga Mini Gimbal Kit can be found at http://MiniGimbal.com. Important: A Complete User Manual for SBGC Software and PID Tuning can be found at the BasecamElectronics.com website (here). We suggest reading the PDF documents they provide as they will offer the latest updates and a complete description of each feature set. You can find updated information about installing the SimpleBGC software from the Basecamelectronics.com website in the user manual PDF. Otherwise follow the directions below. First download the correct software that matches the firmware on your Control Board. You can find the download links for both 8 bit and 32 bit boards at the BasecamElectronics website (found here). Once you have the software downloaded, unzip it. You will see the following directories and files inside the folder. On a MAC system launch SimpleBGC_GUI.jar. You may be prompted with a message that your system can’t open the file from an ‘unidentified developer’. If you receive that message, then simply hold ‘Control + Click’ or ‘right click’ on the file and choose Open. You will now see the GUI application. 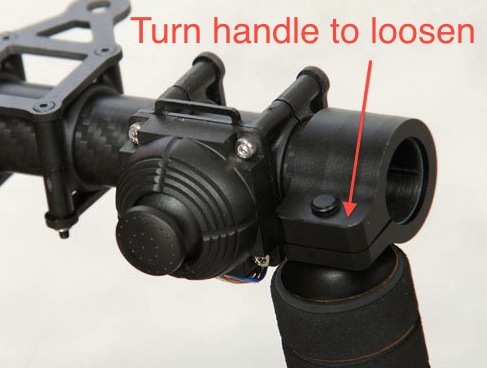 Make sure your Gimbal is connected via USB and choose the appropriate port and click Connect on the top left. NOTE: If you are unable to connect to your Gimbal on a MAC system, you may need to install a driver. Download the MAC driver from this website (found here), run the installation, restart the SBGC application and try again. Typically it will be the last port on the drop down list. If you are still unable to communicate with your gimbal, double check the USB Cable. 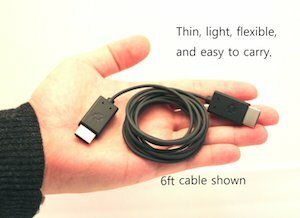 Often times people may be using USB cables that were designed to charge a device, but is not truly a Data USB Cable. Swap the USB cable with a known Data USB Cable and try again. If you receive an error about the software being incompatible or “GUI Version Mismatch”, then you have downloaded the wrong version of the SimpleBGC software. Take a look at the firmware version (seen under the Connect button) and download the proper software to match the firmware on your Control board. 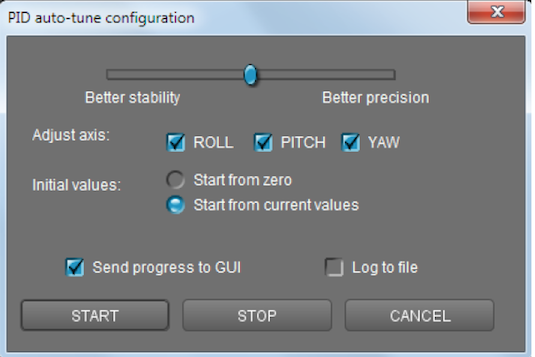 To setup your gimbal, you have to enter the proper information into the SBGC software. Here are a list of steps to check during your setup. Top and Right settings for the Sensor orientation must be set for Camera IMU and Frame IMU. Number of Poles for DYS 4108 Hollow Shaft should be set to 22. Start with Motor Power settings at 140. If you are working with a heavier camera, you can increase this slightly and retest. Check if the ‘Invert’ option must be set for any of the motors using the ‘Auto Button’. Calibrate ACC for Camera IMU by holding the camera straight and level. Calibrate ACC for Frame IMU by holding camera straight and level. Start with PID settings of 20 / .02 / 20. If you are working with a heavier system, you can increase the P & D settings slightly. If you are working with a lighter weight camera system, lower the PID settings. Once you have set your PID settings, if the motors vibrate or ‘buzz’ when moving the gimbal, you must decrease the P & D settings on the motor that is oscillating. 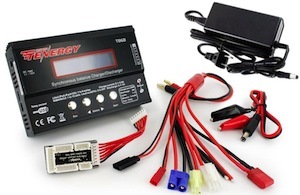 Additional information about Tuning PID settings can be found in the user manual under each firmware version at BasecamElectronics.com (here). 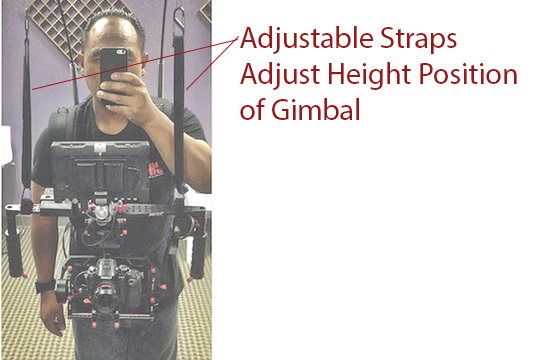 Your gimbal will work more effectively if it doesn’t have to fight improper balance. The video above explains how to balance your camera. Below is a list of tips to double check your balance. Once you have your settings, you will not need to re-balance for your setup. Slide your QR plate forward/back. Use the sliding plate to shift the camera side to side. Lay the camera on it’s back and adjust the side brackets up or down until the camera can balance on it’s back. Tilt the frame at an angle and adjust the height of the rear Roll Bar. Tilt your handles from the side and adjust the YAW motor. Tilt your handles over the camera slightly and adjust the rear vertical bar clamp. Follow Mode is an optional setting that allows the camera to pan and tilt without a joystick. This is an important feature that helps you follow and frame your subject. Here’s a video showing you how to add the HHG Joystick to the Alexmos Board along with settings that need to be adjusted in the software. Earlier today I had a comment about the CAMETV 7800 Gimbal and how people may want the ‘camera over handles’ mode. In this mode you don’t have to raise your arms very high and will have less fatigue. 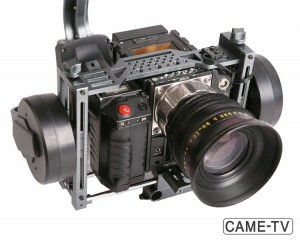 Not exclusive to the 7800, any 32 bit Alexmos / Basecam gimbal can perform various positions and remain incredibly stable. In this video (below) i’m demonstrating just how stable these gimbals can be with the right configuration. Now I realize the DJI Ronin is the best bang for the buck and it is an amazing system to carry heavy payloads. The main reason I use other gimbals is because i’m typically working with smaller cameras. I don’t need to travel with the bulk, and I don’t need to run around with the weight of the Ronin. If you watched the video above, you can see how even me (small guy) can man handle these all carbon fiber gimbals with just one hand [try that with a Ronin]. Even while switching through all of the different positions, the 7800 remained completely stable. With this stability in a sub $1300 dollar gimbal like the 7800, you can see why it’s really hard for me to go with a heavier gimbal like the Ronin. Unless of course there’s a need to carry such a heavy payload, i’d rather just borrow a friends or rent one. Otherwise i’m happy to work with a more convenient system. As you can see in my video i’m using a heavier Canon 5D Mark III with Sigma Lens. If you’re shooting with a GH4 or Sony A7s, these smaller lighter gimbals should make your life much easier when you have to pack, travel, and shoot all day. Now the tricks I show on the CAMETV is not limited to nor exclusive to the 7800. Any gimbal running the new 32 bit software that has a properly balanced camera can operate just the same. It’s extremely time consuming, but i’ll try to do more videos on showing you a step by step process on balancing soon, but if you guys have any questions let me know. Here’s a look at unboxing and setting up the CAME-TV 7500 and 7800 3 Axis Gimbal Stabilizers. Touching on the newly updated (7500) version, there are very slight changes but mostly cleaning up the wiring, especially around the battery cable. They consider this system RTR, but there is some small assembly to the top handle and of course you need to balance your camera. To see an original unboxing video about the CAME-TV 7500 (click here). 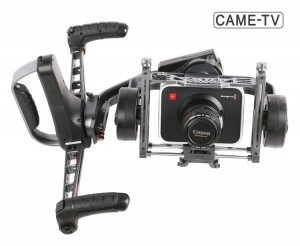 Moving on to the most recent Gimbal Product from CAME-TV is the new 7800 Gimbal. Once again CAMETV is trying to offer up an ‘affordable’ Ready-To-Run system and has added more improvements over the 7500 version. The 7800 model now offers a monitor mount, quick disconnect side handles, and a quick release baseplate – which makes it even easier to balance a camera. What I didn’t show in the video was how to remove the side handles. The side handles can be removed without tools by rotating to loosen the clamp. The top handle I suggest removing from the bottom of the dogbone clamp, so that you can better fit the system into a hard case like the Nanuk 945. The interior dimensions are L 22 x W 17 x H 8.2, which fits pretty snug, but still has lots of side space for your accessories (monitor, batteries, cables, tools, etc). 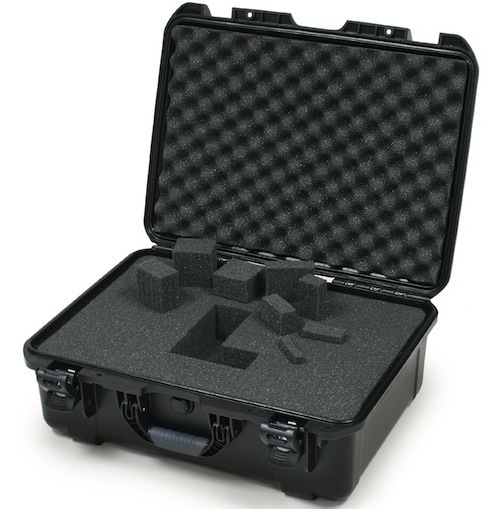 Nanuk 945 Hard Case for 3 Axis Gimbal. Without spending too much time getting super accurate balancing on my gimbal, the 7800 performed very well right out of the box and without tuning any of the PID settings via the software. While you may not have to dive into the software, I still encourage people to at least ‘understand’ the software. Now i’m not the only one this week who has unboxed one of the new 7800 gimbals. MDIFilms earlier today left a comment on this blog about their experiences setting up the system with a GH4 camera. They’ve provided a few different tutorial videos below, and interestingly enough they too did not have to tune PID settings out of the box (for their GH4 setup). While it still takes a lot of patience and understanding how to balance a camera properly on a gimbal, the design improvements CAME-TV adds to each new gimbal make the ‘Out of Box’ experience better each time – while still keeping the systems affordable. The CAME-TV 7800 is available now, and is currently discounted for the month of October, 2014 (click here). Earlier this morning I was talking to a friend about the weight of his DJI Ronin Gimbal, and he asked if I had any suggestions about a support system to carry the weight. He mentioned during his research, one of the more affordable options out there was between $649 – $849 dollars from a company called the Atlas Camera Support. It’s definitely more affordable than say an EasyRig, but design wise it’s not overly complicated to create something with a similar function. In just a few minutes of thinking about how I would go about this, I had a working prototype using an old camera backpack and a couple of fiberglass rods. Here’s what I came up with. My DIY Design is very simple. A few conduit pipes are tucked into an old camera backpack and held in place with a block of wood. The Fiberglass rods are simply dropped into the pipes and removed when not in use. 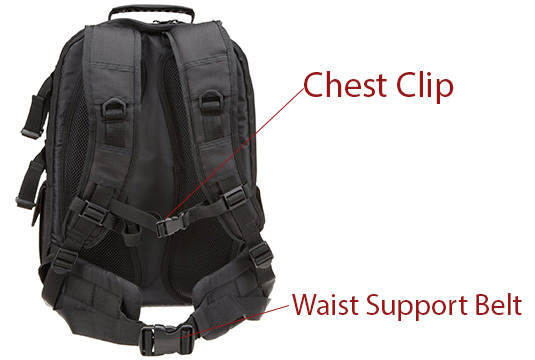 Here are some additional details that are important for choosing a support backpack for this project. Choose a backpack with a chest clip and a waist belt. A Waist Belt is a must! You can find both of these features in a good camera backpack or sometimes you will find this with a good hiking backpack. These straps will keep the backpack snug up against your body and allow the rods to bend without pulling the backpack away from you. Here’s a couple of backpacks that give you an idea of what to look for. 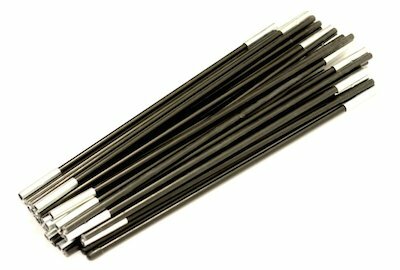 The Fiberglass rods I chose are just common Tent Poles, nothing special. Tent poles are designed to flex and they are also offered in various thicknesses. The ‘thicker’ the tent pole, the more weight it will support, but the harder it will be to bend. You definitely want some ‘bend’ with your pole to absorb any bounce. I picked up a 4 Tent poles for $10 dollars at a sporting goods store. I only used two. I know what you’re thinking – what if they snap? Keep Reading.. These Fiberglass rods have a very thick wall to them, but are also hollow. 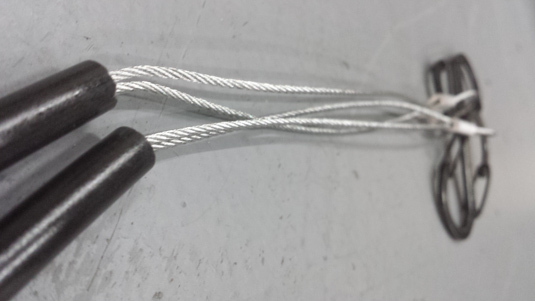 So to add a fail safe, i’m using 100lb rated Metal Braided Wire Cables running through the poles. If for some god forsaken reason one of these rods should break (which is very very difficult to do), the cable will keep things from coming apart. I’ve looped the cable at the end and ran it back through the rod, essentially doubling up the cable inside. 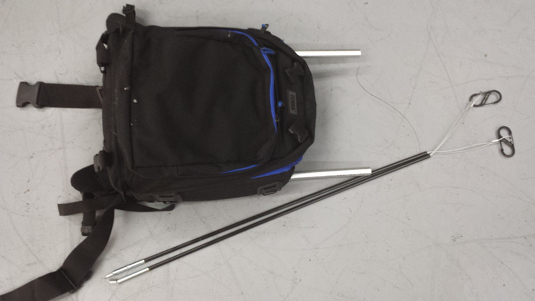 As i’ve mentioned, if you want to carry a heavier system, you can look for the larger fiberglass rods. Another idea to carry extra weight, and to add additional redundancy is to double up these smaller rods on each side – essentially having 4 rods total. With two fiberglass rods on each side with cables running through, it would manage heavier systems, still remain flexible, and would add incredible fail-safe redundancy. I left about 6 inches of loop hanging at the end for me to attach an adjustable strap to the gimbal. 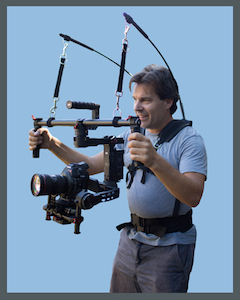 This ‘middle strap’ is so you can adjust the height position of your gimbal. 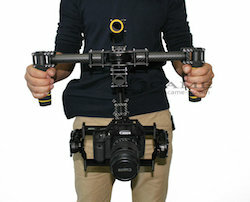 If you want the gimbal higher, shorten the strap. If you want the gimbal to sit lower, lengthen the straps. This was just a quick 15 minute prototype I whipped up, and now i’m going to clean things up a bit more with a second version. The next version I’ll try to find a slimmer backpack, and I will have the pipes tucked all the way into the backpack (totally unseen). I’m also going to make a new design for the adjustable strap. So if you can’t DIY this project, go out and find someone to DIY it for you! Of course, there’s always the option of purchasing the Atlas Camera Support, but I do think a backpack makes for a better fashion statement. 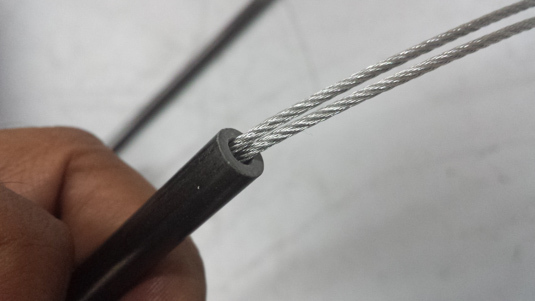 It’s also comforting to know that my design has a “Fail-Safe looped 100lb Wire Cable” run through the rods adding both strength and redundancy. As always, thanks for checking out this project and hopefully it will help you on your projects while saving you a few bucks. If you have any questions leave a comment. If you caught my Instagram feed, I just received a few more gimbals to test out. I’ve been meaning to get another Gimbal Stand, but didn’t want to dish out the big bucks. Here’s a simple DIY frame using a single 10 Foot piece of 1/2″ Electrical Conduit. You can find this at most hardware store for under $4.00 dollars (for all 10ft). You’ll also need to have access to a pipe bender, so hit up your electrician friend, or run down to a hardware rental store. It’s sooo easy anyone CON-DU-IT. Once you have the basic bends in place, it’s just a matter of sitting them side by side and clamping them together. Now I threw this together very quickly, but after thinking about it a bit more I should have gone with a 1″ metal hose clamp. If you want to dress it up, you can always cover the conduit with pipe insulation, add end caps, or paint it black. Anyways, now that many of you guys are diving into the world of Gimbals, I thought this little quick project could help you save some money – Enjoy! The bluetooth module for controlling and configuring Basecam Control boards has been available for a while, but something not highly discussed is that the Varavon Birdycam Stabilizer actually ships with a BT module. This was not heavily advertised since the Android Apps (at the time) may not have been stable due to the latest firmware that was installed on the Birdycam2. Today I decided to test things out, and I have to say it’s working quite well. Anyone who has worked with the computer version of the SBGC app will feel at home on the Android App version. The wireless joystick app is perfect for dual operator mode (or when operating the gimbal mounted to a Crane/Jib) without having to invest in expensive RC Transmitters. Keep in mind that this is not limited to just the Varavon Birdycam. The bluetooth module can be purchased separately and installed with any gimbal Alexmos boards such as the ones in the inexpensive CAME-TV 7000 3 Axis Gimbal. All you’ll need is the Bluetooth module which can be found for around $16 US dollars (found here). 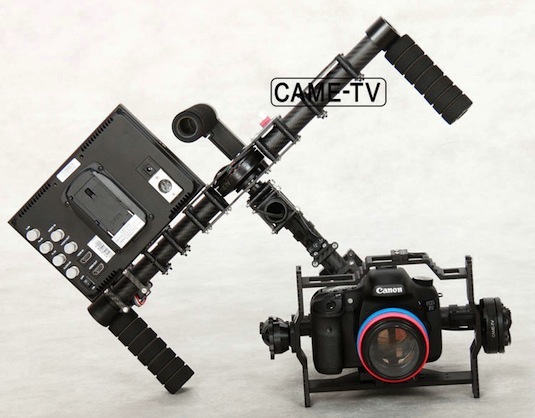 If you follow this blog, i’ve somewhat been in tune with several different affordable Gimbal Stabilizers such as the CAME-TV 7000/7500 and Varavon Birdycam2. The simple fact though is that if you wanted to fly any camera larger than a Canon C100 you’re most likely looking into the $2999 DJI Ronin. Well CAME-TV has been teasing about a new heavy duty gimbal for a few months. Until recently the new 8000 model was only shown in drawings, but here’s an actual demo with a protoype unit by MJIT Berlin. Keep in mind what we’re seeing in the video above is still a protoype unit, but the results so far look very promising. 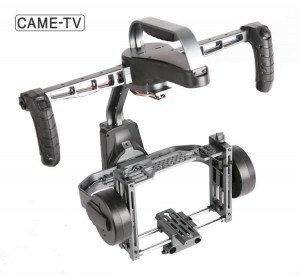 The new images show the CAME-TV 8000 with fine tuning stage, a quick release system, 15mm rail adapter for rod accessories, and a built in joystick (which the Ronin lacks BTW). For a Gimbal capable of carrying a large camera, and with an introductory price $1,000 dollars cheaper than the Ronin, this could be another popular stabilizer in the market. 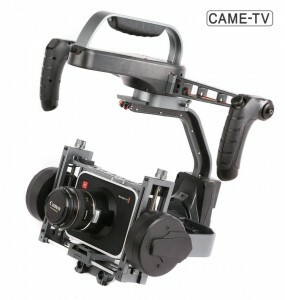 For more information check out the CAME-TV 8000 gimbal over at the website (click here). The DJI Ronin is one heck of a gimbal, and one of it’s stand out features would be the Auto Tuning Software. Well for anyone using SBGC Basecam Alexmos Controllers with their gimbals, the new firmware now offers an ‘Auto PID’ feature as well. But before you get too excited you may want to take a look at this video demonstration. So the new firmware offers an amazing set of new features, and Auto PID tuning seems to work. This still doesn’t solve the other areas that you need to be familiar with including sensor position, sensor calibrations, gyro calibrations, and motor configurations. Before you can use any of the Auto PID features, you need to properly configure those settings first and balance your camera properly on the gimbal frame. I’ve heard some people talk about how everything works except for the ‘Pitch’ or maybe the ‘YAW’ is buzzing. Using the Auto PID tuning feature with one axis may now quickly solve these issues. Keep in mind that with a sliding scale between Better Stabilization and Better Precision your results could vary. Even though it’s ‘Auto’ there’s still a fair amount of trial and error that can be time consuming to use this process. 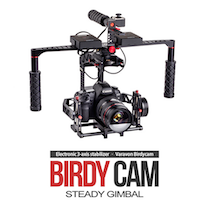 If you’re working with 32 Bit Gimbals like the CAME-TV 7000/7500 (found here) or the Varavon Birdycam2 (found here), the new firmware should be compatible, but you know what they say. ‘If it ain’t broke, don’t fix it’. If you have your gimbal working well, there may be no real reason to upgrade the firmware at this time.